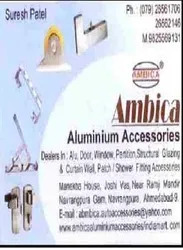 Established in the year 1996, at, Ahmedabad, Gujarat, India, we, “Ambica Aluminum Accessories” are engaged in distribution of a long lasting range of Tpi, Solo, Surya, Ambica, R. K., Ankit, Eagle star, Godrej, Mccoy, Dow Corning Products and Patch Fittings. Ever since our inception, we are striving rigorously to produce products of impeccable quality by adhering to our quality principle of hard work and dedication. Our range of products meet the demands of our esteemed clients owing to their dimensional accuracy, smooth edges, sturdy design and resistance to abrasion. Furthermore, we have a team of expert and responsible professionals who keep us up to date with the latest industry requirements and standards. We also have a distributing unit, advanced quality control unit and a wide distribution network owing to which we are able to successfully achieve optimum customer satisfaction. Due to our client centric approach, we have established a strong foothold in the industry and have established good relations with our customers. Also, with our transparent business dealings, fair business ethics we have been able to gain precious respect and trust of our clientele. 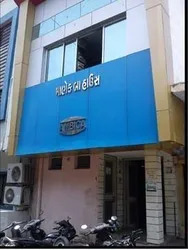 Led under the guidance of our mentor Mr. Suresh Bhai Patel , we work with an objective to achieve optimum customer satisfaction and present a high quality range of products. This has further helped us reach new heights of success and gain a respectable position in this competitive industry. Trading of Aluminium Hardware Products. Our company is backed by state of the art infrastructure. We are fully equipped with all the latest machinery and facilities to ensure hassle free processes and timely delivery as well. 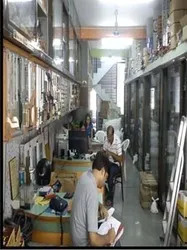 With our experienced and expert staff in the form of engineers, procurement agents, sales and marketing personnel, packaging personnel, we are proficient in handling bulk orders and providing a timely delivery. Our company has attained a commendable status in the industry by distributing and supplying a quality range of Tpi, Solo, Surya, Ambica, R. K., Ankit, Eagle star, Godrej, Mccoy, Dow Corning Products and Patch Fittings. These products are procured by our procurement agents from renowned vendors holding immense industry reputation. Our procurement agents select our vendors on the basis of various well defined parameters like industry experience, market credibility, production capacity, financial stability and adherence to defined quality standards.